BOSTON, MA – October 22, 2018 – NewStore, Inc., the first to provide Omnichannel-as-a Service, today announced that UNTUCKit is the latest customer to embrace its transformative retail experience. Since the direct to consumer brand opened its first store in 2015, UNTUCKit has scaled its physical footprint tremendously. With clienteling, endless aisle, mobile checkout, and omnichannel fulfillment powered by NewStore, UNTUCKit is optimizing its quickly growing business through omnichannel capabilities that scale. UNTUCKit has changed what it means to be effortlessly casual. Implementing NewStore allows the brand to deliver a similarly effortless store experience. The platform enables UNTUCKit store associates to connect meaningfully with customers through mobile and offer inventory visibility for real-time access, providing a top of the line digital experience within the stores. Through the NewStore platform, the brand is also able to provide customers with an array of modern fulfillment options, such as buy online pick up in store (BOPIS) and buy online return in store (BORIS). NewStore acts as the single point of sale (POS) system for UNTUCKit, while bringing endless aisle functionality into stores. 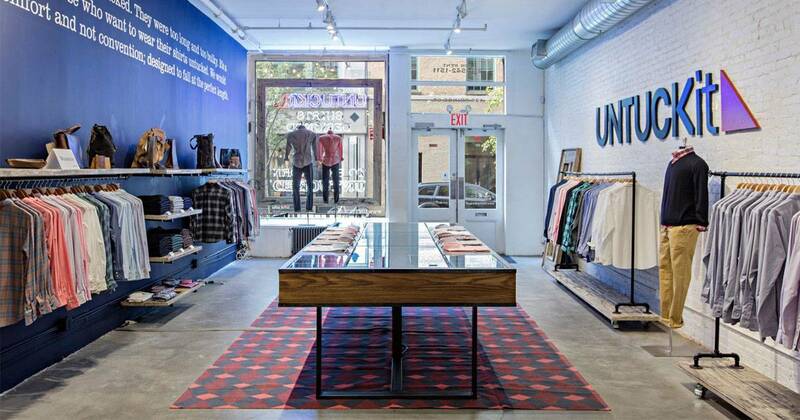 The NewStore Omnichannel Platform has been rolled out in 41 UNTUCKit stores – 40 in the U.S. and one in Canada. One of the fastest-growing retail brands in the U.S., UNTUCKit was created to solve the problem that millions of men struggle with every day by offering shirts designed specifically to be worn untucked. Since launching in 2011, UNTUCKit has grown to 13 product categories, ranging from T-shirts and polos to sports jackets and performance wear. The brand has introduced lines for women and children, offering perfectly contoured hemlines and more than 50 tailored fit options for the whole family. The brand is dedicated to creating an unmatched shopping experience, with 40 physical retail locations across the U.S.—with plans to open an additional 15 by the end of 2018—and one location in Toronto, Canada. For more information visit UNTUCKit.com.